After seeing consecutive 10 weeks successful forecasting using 1 SD Formula in Nifty weekly levels are you excited to know little more about the same? Here we are revealing some option strategies using 1SD Formula. 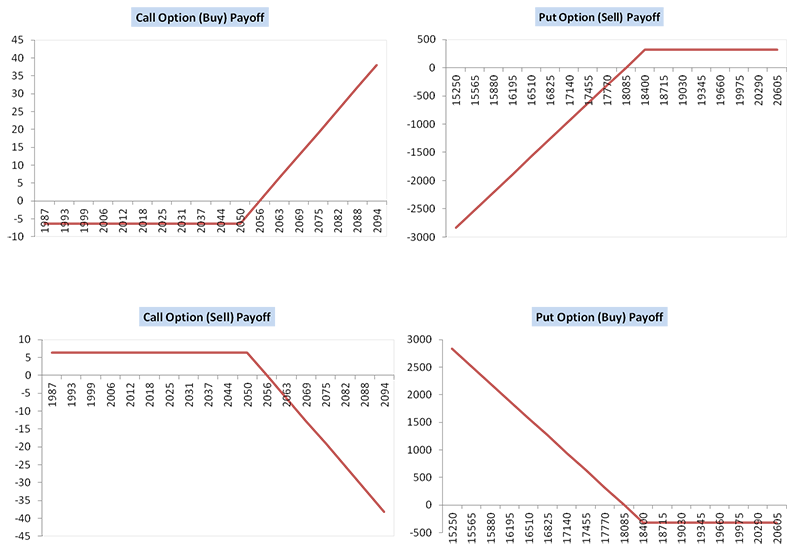 What is a covered call option strategy? Covered call or covered put option strategy is a method in which the trader buy the future and sell a call option. When the trader expect the price will move in a narrow range with very less chance of down trend at that situation trader decides the covered call option strategy. Same way when trade expect the price to move in a narrow range with very less chance to move up that time trader initiate the covered put strategy. Covered call or covered put option strategy is a partial close end option strategy. Close end option strategy are the strategy which limited profit and limited loss. In covered strategy the loss is unlimited and profit is limited. How successful the covered strategy? It give no success if taken without any technical understanding. It also produce huge loss if trader does not make it a close end strategy. How to implement covered call or covered put strategy successfully? It is very simple to make this strategy successful with slight modification. a). Form the strategy when the trend gives break out as per the 1SD rule. b). Make it net delta zero strategy it is optional. c). Exit the strategy in loss if the underlying cross the death zone (i.e. 0.786 retracement price) against the trend. Book profit if price cross the 0.786 retracement in the direction of the trend. Refer the example carefully to understand how this strategy preform during the month of November 2015 with the above idea. Using 1SD level on 30th October I have recommended the following for November 1st week 2015. Trade achievement of November, 1st week: 2nd November downside breakout failed and 3rd November upside breakout given target till 0.5 retracement. 5th November breakout in the down side achieved till 0.888 retracement. Say on 2nd November we have initiated covered put - sell future at 8047, sell 8000 pe @ 132 (i.e. close near to 7989) buy 8200 ce @78 (i.e. near to 8179) each one lot. Using 1SD level on 6th November I have recommended the following for November 2nd t week 2015. Trade achievement of November, 2nd week: 9TH November downside breakout given target till 1.236 retracement ACHIVED till 13th November 2015. On 9th November 2015 if I will sell future at 7940, sell 7900 pe @83 (i.e. close near to 7869) and buy 8100 ce one lot at 33.80. we will close the strategy if the nifty move above 8133 we will book profit if the nifty fall below 7752. Trend expectation: Uptrend conformation 7803, successful cross over above 7855 will target 7893-7941-7994. Down trend conformation 7737 successful fall below 7684 will trigger fall till 7647-7598-7546. Trade achievement of November, 3rd week: 16th November opening downtrend breakout given fail and uptrend achieved till 0.618, 17th November uptrend achieved till 0.786, 18th November downtrend breakout given and failed on 19th and achieved till 0.618 retracement. 20th uptrend achieved till 0.888 retracement. Though uptrend targets achieved 4 times during the week but 2 times the down trend failed. We may classify this week to be a volatile week. 16th November sell future at open price 7738, sell 7700 pe, at open price 63 , buy 7850 ce open price at 38 each one lot. 17th November it has touched 7880.65 high this is my exit with loss point which is 2point above the 0.786 retracement level also days high . Taking this price point as reference point I will calculate profit and loss. Loss in future is 142.65, profit in 7850 ce at day’s high 85.50 is 47.80, profit in 7700 pe at day’s low 18.25 is 44.75, net loss -3757.60, if you swing in this same strategy based on the 4times uptrend achievement and 2 times down trend fail you will get net profit around 3000. Conclusion: The objective of protecting the capital by 95% and achieving a monthly consistent return of 3 to 4% post expenditure can be achieved by this strategy if used along with the 1SD levels. 1.) Cross calendar option strategy on 1SD trend cross over. 2.) 10 bull or bear spread along with the future long or short on 1SD trend cross over More on 22 option strategy for Indian market you can find on my book on ‘Master Key to future and option’.